Canthigaster valentine also known as the Black Saddle Pufferfish or the Saddled Toby. They are found in Indo-Pacific and the Hawaiian region at a dept of up 55 m.
They have four distinct black saddles on its back. The head is blue-greyish, and the main body is brown with blue-grey spots. The tail and fins show tint of yellow and there is a green and orange streak of colour behind the eyes. They can grow up 4 inches in length and are peaceful with other tank mates. Toby has the ability when stressed or threatened to inflate and toxicate its body to almost twice its normal size. It is important that we don’t provoke a puffer to see it inflate as puffing is a stress or a defensive reaction this can lead health issues. If a puffer inflates remove the source of the stress lower the lighting and allow the fish to recover. It can also be a threat to many invertebrates species such as shrimps, crayfish, crabs, sea urchins, snails as these are a part of toby’s diet. They require good mature systems with lot of rock work and algae on the rocks to graze on. Black saddled toby’s are described as moderate to keep. Pufferfish demands lot of food, so the aquarium should be able to handle this. They also require food which grinds their teeth, as they keep on growing through their life. When adding to a reef aquarium tracking is required as they do nib on the corals. They are generally peaceful and full of personality in their looks. 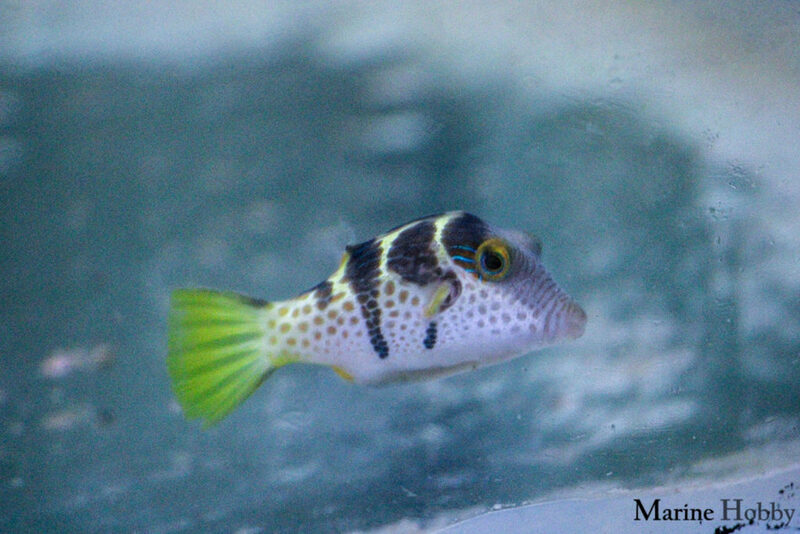 Aiptasia eating filefish the pest cleaner!! !